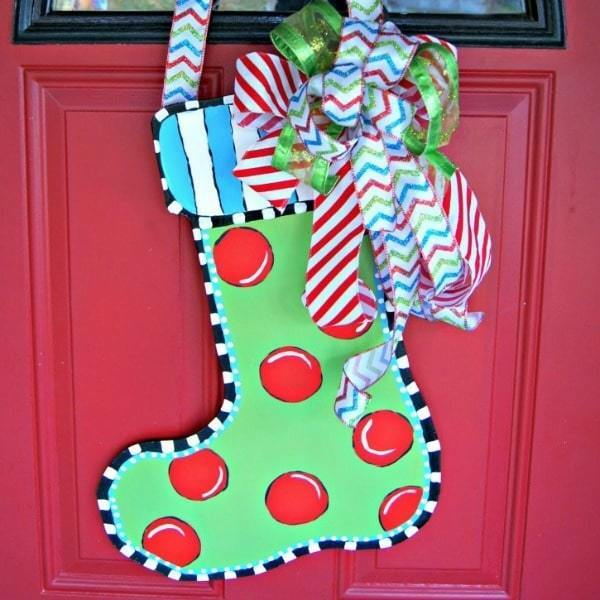 Add some cuteness to your Christmas door with this tutorial for a Christmas Stocking Door Hanger. Don’t pay BIG bucks for Christmas front door decorations! This is a Dollar Store Christmas project you will love! This post was submitted by 3 Little Greenwoods and is shared with their permission. Thank you so much for the feature! Merry Christmas! You are so welcome! Thank YOU for sharing it with us, Ashley! Hi Carrie, Just came across to you while looking at some amazing gift crafts. I PINNED and Following you. I will also share. 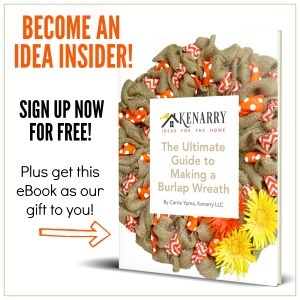 Thanks, look forward to seeing your future crafts… also maybe how to for dogs crafts ideas. Decorative Decoupage Letters – Use the first initial of their last name. These would be fun to do in Christmas colors so you’re not trying to match their actual home decor. Or this map art idea would be cool using a map of your community or neighborhood? Happy crafting! Your neighbors are going to LOVE this!